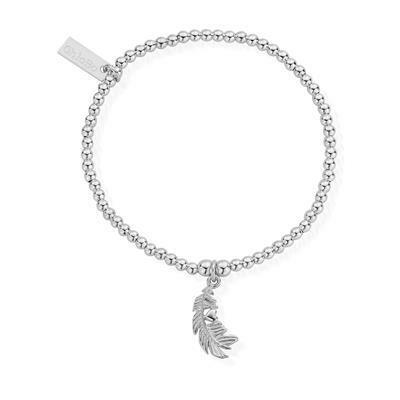 This ChloBo feather bracelet is made from 925 Sterling Silver. It features a feather charm containing a small heart which adds a touch of both romance and free spirit. Wear this bracelet alone or add it to your ChloBo bracelet stack to add a delicate and beautiful touch.